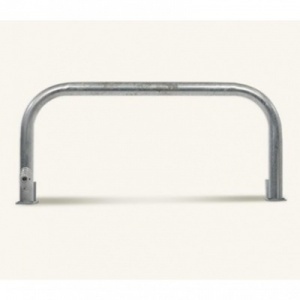 Rhino RDB/76/HD removable steel static hoop barrier with a 650mm height above ground, 1476mm length and 76mm diameter. For a removable barrier, the qualities of the Rhino RDB 76 are permanent: galvanized mild steel finished with polyester powder coating for durability, a simple, timeless design that helps create a better landscape in any location, and the lasting reassurance that Marshalls’ reputation for quality brings. 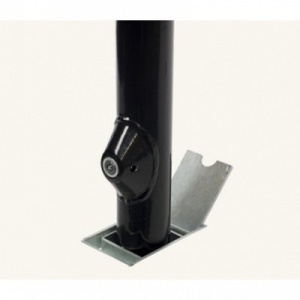 When the time comes to allow access, insert a key, push a button and the Rhino RDB 76 can be quickly and easily lifted clear. 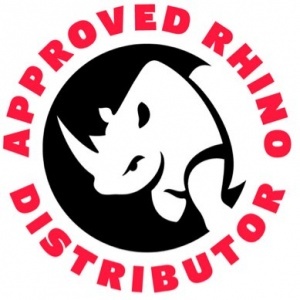 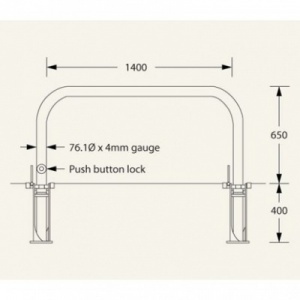 And to make the attraction of the Rhino RDB 76 steel removable barrier even more difficult to get round, it comes with a comprehensive guarantee of 12 months warranty against corrosion and free delivery. 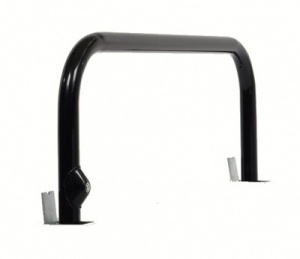 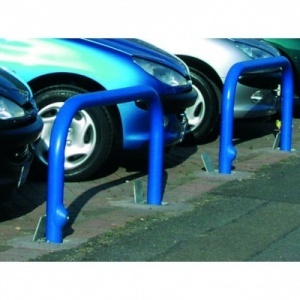 Rhino RDB 76 HD security hoop barriers are galvanised (non colour) as standard, select colour variant if required.